CB Radios have a long history. 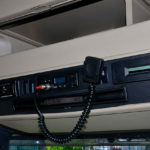 Earlier in the last century before the time of email, and mobile phones, the CB radio was an excellent way to connect with friends all over. One of the things that set the CB Radio user apart from others is that there is a particular lingo attached to it. One could also call it trucker talk. You need to learn the CB radio code, as well as the CB lingo in order for you to be able to communicate with your friends or even strangers. These radios are an important asset – for truckers especially – as it keeps them connected to other truckers on the long road. It also connects them to their home base. Truckers should especially be knowledgeable with regard to the CB codes and the lingo for others to understand them. 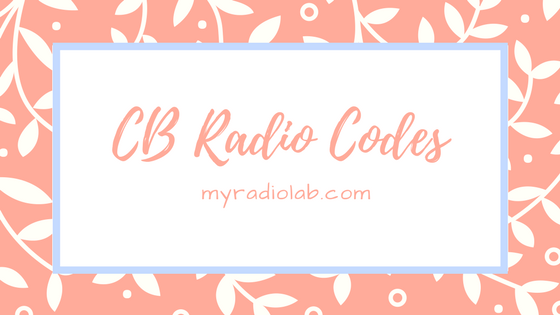 The CB radio code is a short way of communicating. Why don’t you try a new and best CB Radio? Read the full details here! By the phrase “What’s your 20” generally means “What is your location? or “Identify of your position”. It is a corrupted phrase. Its original is 10-20 that is used by United States law enforcement to encode their radio transmission. C: Avenue G and Kingston. All locked up The weigh station is closed. Anteater Kenworth T-600; this truck was so-named because of its sloped hood, and was one of the first trucks with an aerodynamic design. Also known as an aardvark. Alligator A piece of tire on the road, usually a recap from a blown tire, which can look like an alligator lying on the road. These alligators are hazards which are to be avoided, if possible. If you run over them, they can “bite you” — bounce back up and do damage to hoses or belts, fuel crossover lines, or to the body of your tractor. They can also bounce up and go towards another vehicle, possibly causing an accident. A baby alligator is a small piece of tire, and alligator bait is several small tire pieces. Sometimes called just a “gator”. Back door Something behind you. “There’s a bear at your back door”. Back it down Slow down. Back row The last rows of parking in a truck stop, often a hangout for prostitutes (see “lot lizards”). Base station or unit A powerful CB radio set in a stationary location. Bear A law enforcement officer at any level, but usually a State Trooper, Highway Patrol. Bear bait A speeding vehicle, usually a four-wheeler, which can be used to protect the other speeding vehicles behind it. Bear bite A speeding ticket. Bear den or bear cave Law enforcement headquarters,station. Bear in the air A law enforcement aircraft which can be monitoring the traffic and speeds below. Bear in the bushes Law enforcement (at any level) is hiding somewhere, probably with a radar gun aimed at traffic. Billy Big Rigger Another term for “supertrucker”; one who brags about himself, or his big, fast, shiny truck. Bingo cards These cards held stamps from each state a motor carrier would operate in; these cards are no longer used, and have been replaced by the Single State Registration System (SSRS). Bedbugger Can refer to a household moving company or to the household mover himself. Big R A Roadway truck. Big road Usually refers to the Interstate, sometimes any big highway. Big truck Refers to an 18-wheeler or tractor-trailer. “Come on over, big truck”. Bird dog A radar detector. Big word Closed, when referring to weigh stations. There is often a big sign preceding the weigh station indicating whether the station is open or closed, in bright lights. From a distance, you can’t tell what the word says, but you can usually tell whether it’s a big word or small word. So, when you hear “the big word is out”, you’ll know that the weigh station is closed. Black eye A headlight out. “Driver going eastbound, you’ve got a black eye”. Bobtail Driving the tractor only, without the trailer attached. Boogie The top gear (the highest gear) of the transmission. Brake check There is a traffic tie-up ahead, which will require immediate slowing down or stopping. “You’ve gotta brake check ahead of you, eastbound”. Break If the radio’s busy, saying “break-19” is the proper way to gain access to the channel, and begin talking. Breaking up Your signal is weak, or fading. Brush your teeth and comb your hair Shooting vehicles with a radar gun. Bubba What you call another driver, often in a kidding way. Bull dog A Mack truck. Bull frog An ABF truck. Bull hauler A livestock hauler. Bumper sticker A vehicle that’s tailgating. Sometimes called a “hitchhiker “. Bundled out Loaded heavy, or to maximum capacity. Buster Brown A UPS truck or driver. Cabbage A steep mountain grade in Oregon. Cabover Abbreviated term for Cab-Over-the Engine (COE) type of tractor. Checking ground pressure The weigh station is open, and they’re running trucks across the scales (see “running you across”). Chicken coop A weigh station, often called just a “coop”. Chicken lights Extra lights a trucker has on his truck and trailer. Chicken hauler or truck A big, fancy truck; a large, conventional tractor with a lot of lights and chrome. Also, one who hauls live chickens. Comedian The median strip in between opposite lanes of traffic. Container Refers to an overseas container; intermodal transportation. Come back An invitation for the other driver to talk. Sometimes used when you couldn’t hear the last transmission, “comeback, I didn’t hear you”. Come on Telling another driver that you hear him calling you, and to go ahead and talk. “Yeah driver, come on”. Comic book The log book. Convoy A group of trucks traveling together. Copy Transmission acknowledged, agreed with, or understood, as in “that’s a copy, driver”. Cornflake Refers to a Consolidated Freightways truck. County Mountie County police, often a sheriff’s deputy. Covered wagon Flatbed type of trailer, with sidewalls, and a tarp. Crackerhead A derogatory term; insult. Crotch rocket A motorcycle built for speed; not a Harley-Davidson. Deadhead Pulling an empty trailer. Diesel car A semi- tractor. Diesel cop A DOT, Commercial Vehicle Enforcement officer. Donkey Behind you. “A bear is on your donkey”. Do what? I didn’t hear or understand you. Doubles Refers to a set of double trailers. Driver What drivers call other drivers on the CB, especially if their CB handle is not known. Driving award A speeding ticket. Downstroke Driving downwards, downhill, on a decline. Dragon wagon A tow truck. Dragonfly A truck with no power, especially going uphill. Evil Knievel A law enforcement officer on a motorcycle. Feeding the bears Paying a ticket or citation. Fingerprint To unload a trailer by yourself. Flip-flop Refers to a U-turn, or a return trip. Four-letter word Open; referring to weigh stations being open or closed. 4-wheeler Any passenger vehicle; cars or pickups. Freight shaker A Freightliner truck. Front door In front of you. Full-grown bear State Trooper, or Highway Patrol. Garbage hauler A produce load or produce haulers. Gear Jammer A driver who speeds up and slows down with great frequency. Georgia overdrive Putting the transmission into neutral on a downgrade, to go extremely fast. Definitely not recommended! Good buddy This used to be the thing to say: “10-4, good buddy”. Not anymore, as this calling someone a homosexual. Good neighbor Usually used when you’re showing appreciation to another driver, as in “thank you, good neighbor”. Got my nightgown on I’m in the sleeper, and ready to go to sleep. Go to company When you tell another driver from your company to go to the designated company CB channel. Drivers do this so that they can talk about company business or personal matters without monopolizing channel 19. Go to the Harley Turn your CB to channel 1. Gouge on it Go fast, put the throttle to the floor, step on it, etc. Granny lane The right, slower lane on a multi-lane highway, or on the Interstate. Greasy side up A vehicle that’s flipped over. Grossed out Your gross vehicle weight is at maximum capacity; commonly 80,000 pounds. Ground pressure The weight of your truck, as in “the scale’s testing your ground pressure”. Gumball machine The lights on top of a patrol car. Hammer down Go fast, step on it. Hammer lane The left, passing lane of traffic. Hand, Han What a driver sometimes calls another driver. Stems from the term farmhand, and means helper, or fellow worker. Handle (CB handle) The FCC encourages the use of CB handles. CB handles are nicknames which are used to identify the speaker, in place of an actual name. A driver often selects his own handle, one that he feels reflects his personality or describes his way of driving. Happy happy Happy new year; “Have a happy happy, driver”. Having “shutter trouble” Having trouble keeping awake. Ho Chi Minh Trail Refers to California Highway 152, known for it’s abundance of accidents. Holler Call me on the radio, as in “give me a holler when you get back”. Home 20 A driver’s home location. How ’bout When you’re trying to contact other drivers, you can say “how ’bout you, eastbound?”. Hood A conventional tractor, as opposed to a cab-over. Hundred dollar lane, high dollar lane In certain heavily populated areas, trucks will be prohibited from driving in the far left lane, with a heavy fine for violators. This term refers to that prohibited lane. Jackpot Same as gumball machine, refers to a patrol car’s lights. Key down When you talk over somebody who’s trying to transmit. A bigger, more powerful radio can easily drown out a lesser one. Key up Pushing the transmit button on the CB Mike. “Key up for about 20 minutes, and tell me how bad you are”. In my back pocket Behind you; a place you’ve passed. In the big hole The top gear of the transmission. K-whopper A Kenworth tractor, or just KW. Kojak with a Kodak Law enforcement using a radar gun. Land line A stationary telephone; not a cellular phone. Large car A conventional tractor, often with a big sleeper, lots of chrome and lights, etc. Left Coast The West Coast. Local information A driver asks for local information when he needs directions in the area he’s unfamiliar with. Local-yokel A county, city, or small-town officer. Lollipop The small reflector or marker poles on the sides of the highway. Lot lizard A prostitute that solicits truck-to-truck in a truck stop or rest area. Lumper Casual labor that loads or unloads your trailer, often requiring payment in cash. Refers to a female law enforcement officer. Male buffal A male prostitute. Mash your motor Go fast, step on it. Same as gouge on it and hammer down. Moving on Heading down the road. Mud duck A weak radio signal. On the side On standby. Parking lot An auto transporter, often used when the trailer is empty. Pay the water bill Taking a rest room break. Pickle park A rest area frequented by lot lizards (prostitutes). Pigtail The electrical connection from the tractor to the trailer. Plain wrapper An unmarked law enforcement vehicle, usually said with color added as a description: “you’ve got a plain brown wrapper on your back door”. Plenty of protection Usually means there’s plenty of police in the area, but I’ve heard it used to tell drivers to go ahead and step on it because there’s speeding four-wheelers ahead blocking or covering for them. Pogo stick Usually a metal, flexible support located on the tractor catwalk, that holds up the connections to the trailer. Power up Go faster, speed up. Preeshaydit Thank you, I appreciate it. Pumpkin A Schneider truck, because of it’s orange color. Radio check How’s my radio working, transmitting, getting out there. Rambo Someone who talks really tough on the radio, especially when no one else knows where they are. Ratchet jaw Someone who talks a lot on the radio, while keying-up the whole time and not letting anyone else get a chance to talk. Reading the mail Not talking; just listening to the radio. Reefer Usually refers to refrigerated van trailer, but sometimes just to the reefer unit itself. Rest-a-ree-a Another way to say rest area. Road pizza Roadkill on the side of the road. Rockin’ chair A truck that’s in the middle of two other trucks. Roger beep An audible beep that sounds when a person has un-keyed the mike and finished his transmission. Used on only a small percentage of radios, and not recommended. Roller skate Any small car. Rooster cruiser A big, fancy truck; a large, conventional tractor with a lot of lights and chrome. Runnin’you across The weigh station is open, and they’re weighing trucks, probably in a quick fashion. Salt shaker The road maintenance vehicles that dump salt or sand on the highways in the winter. Sandbagging To listen to the radio without talking; also “readin’ the mail”. Sandbox An escape ramp, which sometimes uses sand to stop vehicles. Schneider eggs The orange cones in construction areas. Seat cover Sometimes used to describe drivers or passengers of four-wheelers. Sesame Street Channel 19 on the CB. Shaky Refers to California in general, sometimes Los Angeles, and, occasionally, San Francisco. Shiny side up Your vehicle hasn’t flipped over after a rollover or accident. “Keep the shiny side up” means to have a safe trip. Shooting you in the back You’re being shot with a radar gun as your vehicle passes a law enforcement vehicle. Short short A short amount of time. Shutdown Put out of service by the DOT because of some violation. Sleeper creeper A prostitute; same as a lot lizard. Skateboard A flatbed, or flatbed trailer. Smokin’ scooter A law enforcement officer on a motorcycle. Smokin’ the brakes The trailer brakes are literally smoking from overuse down a mountain grade. Smokey or Smokey Bear A law enforcement officer, usually highway patrol. Split A junction, where the road goes in separate directions. Spy in the sky A law enforcement aircraft, same as a “bear in the air”. Stand on it Step on it, go faster. Swinging Carrying a load of swinging meat. Taking pictures Law enforcement using a radar gun. 10-4 OK, message received. Some drivers just say “10”. Thermos bottle A tanker trailer. Through the woods Leaving the Interstate to travel secondary roads. Throwin’ iron To put on snow tire chains. Too many eggs in the basket Overweight load or gross weight. Toothpicks A load of lumber. Travel agent The dispatcher, or sometimes a broker. Triple digits Over 100 mph. Wagon Some drivers refer to their trailer as a wagon. Walked on you Drowned out your transmission by keying up at the same time. Wally world Wal-Mart (the store or the distribution center), or a Wal-Mart truck. West Coast turnarounds Uppers; speed or benzedrine pills; the idea is that a driver can drive from the East Coast to the West Coast, and back again without having to sleep. Obviously illegal!! Wiggle wagons A set of double or triple trailers. Yard A company terminal, drop a lot, etc. Yardstick A mile marker on the highway. Looking for CB Radio installing tips? Read Experts guide here: CB Radio installing tips. Those codes will give you a good head to start using a CB radio. Remember everyone has better times when we follow the rules. Thanks for your valuable post. I was just searching for CB radio 10 codes but here I found lots of information such CB radio slang and CB Q codes also. Also requesting to write a post on some top quality CB apps. Hope to get soon. Great post. Loved to read those lingos. I love CB radios and truck drivers. Truckers are some of the nicest people in the world. When anyone lost, they help to find the way. When you ’re broke down, they call in the help for you. When there’s an accident, and no one’s around, it’s a trucker who’ll stop to help. When you’re hitching’, a trucker provides a ride. For the most part, truckers are courteous and careful. They watch out for each other, and they help everybody. My grandfather was trucker also. I grew up listening to my grandfather talk on CB radio on vacations and hunting trips. So when I grew up I wanted to do the same, so I adopted the hobby. I must say this has been a great starter radio. I love and appreciate the way the old-time truckers know exactly what they are doing on the road. Respectful. read your post. I am trucker from Chicago. My favorite trucking movies, like Smokey and the Bandit and Convoy, they are old great trucking movies are filled with CB lingo. I can’t imagine either movie without the flowery language of the trucking culture. If you are a big fan of old trucking movies & want to listen to CB lingo’s there is some movies list to enjoy. •	Every Which Way But Loose – 1978. •	High Ballin’ – 1978. The meanings of the terms change from time to time and also vary from region to region. Not many use the original 10 codes anymore. I am a proud trucker. My father also a trucker. Truck talk is awesome. Me & my childhood friend memorized all those CB radio code & lingo also destinations. We used to listen to CB talk. We asked each other What’s your twenty? Then we always replied destination term. Destination & meaning was just awesome. Big Apple – New York, New York (now widely used among the general public). Bingo or Bingotown – Binghamton, New York. Corn patch –	The Midwest. Cow Town –	Fort Worth, Texas. Disney Town – Anaheim, California. Fort God –	Memphis, Tennessee. Guitar Town	– Nashville, Tennessee. H Town – Houston, Texas. Job Town –	Clinton, New Jersey. Lost Wages	– Las Vegas, Nevada. Mardi Gras – New Orleans, Louisiana. Mickey Mouse –	Orlando, Florida (a reference to Walt Disney World resort). Mile High – Denver, Colorado (now widely used among the general public as “The Mile High City”). Motor City – Detroit, Michigan (now widely used among the general public). Queen City – Cincinnati, Ohio or Buffalo, New York. Rhymes With Fun – Regina, Saskatchewan. Rock City – Little Rock, Arkansas. Shakey City or Shakeytown –	Los Angeles, California, California (a reference to earthquakes). The Sticker Patch –	Phoenix, Arizona (a reference to the cacti in the area). Spud Town –	Boise, Idaho. T Town –	Texarkana, Texas/Arkansas or Tulsa, Oklahoma. Taco Town – San Antonio, Texas. Windy City – Chicago, Illinois (now widely used among the general public). I grew up in a house that was a labor household. My dad was a milk truck driver. My mother was a mine worker. Neither of them got through high school. But they worked hard and they gave me the opportunity to go to school, get a good education. But I just always wanted to be a truck driver I wanted to be a ” Mello Yello truck driver.” When I was young I always listen to my father’s CB radio. My favorite pass time was listening to trucker’s CB talk. I memorized all CB lingo, 10 CB code, and CB Q codes. I hear you with difficulty.